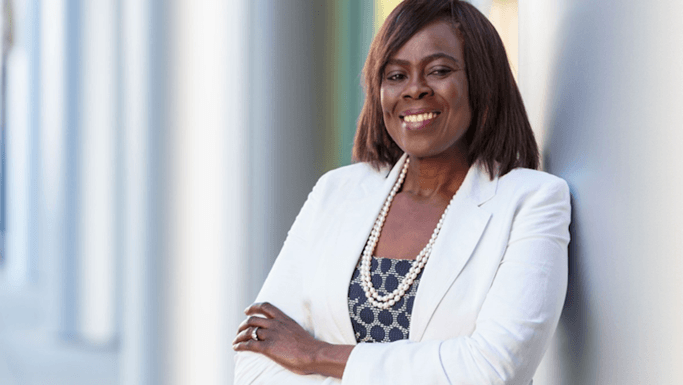 Olufunmilayo Olopade, M.D., has been named one of six Illinoisans who will receive the 2019 Order of Lincoln. The award is the state’s highest honor for professional accomplishments and public service. Gov. Bruce Rauner announced the recipients on Thursday, July 12. Dr. Olopade, the Walter L. Palmer Distinguished Service Professor of Medicine and Human Genetics, Associate Dean for Global Health, and Director of the Center for Clinical Cancer Genetics, came to the University of Chicago Medicine in 1987 and quickly built a reputation as an expert on cancer risk assessment and individualized treatment for the most aggressive forms of breast cancer, with a focus on risk reduction, early detection and prevention in high-risk populations. A recipient early in her career of a MacArthur Fellowship, she has been honored by the National Academy of Medicine, the American Academy of Arts and Sciences and the American Philosophical Society. George F. Will, a native of Champaign, is a Pulitzer Prize-winning columnist for the Washington Post who also is a regular contributor to NBC News and MSNBC. He has written several books on national and international relations, politics, government, and the sport of baseball. Edgar Curtis, the president and chief executive officer of Memorial Health System in Springfield. Curtis started his career at Memorial in 1975; he is immediate past chairman of the Illinois Health and Hospital Association’s Board of Directors and currently serves as a founding board member for the BJC Collaborative, the Midwest Healthcare Quality Alliance and the Lincoln Land Health Information Exchange. Benjamin K. Miller served as an Illinois Supreme Court Justice from 1984 through 2001, and was Chief Justice from 1991 to 1994. He initiated programs that helped combat domestic violence, expand judicial performance evaluations, clarify restrictions on political activity for judges, and improve the state’s juvenile justice system. He previously served as a judge on both the 7th Judicial Circuit and 4th District Appellate Court. Jerry Colangelo, a former University of Illinois player, then played professional basketball for the Chicago Bulls. In 1968, at the age of 29, he became first general manager of the Phoenix Suns, the youngest general manager in professional sports. He also is a former owner of the Arizona Diamondbacks baseball team, the Phoenix Mercury women’s NBA team, Arizona Rattlers indoor football, and Arizona Sandsharks indoor soccer. He is a native of Chicago Heights. Sheila Crump Johnson is a film producer and the co-founder of Black Entertainment Television (BET), the CEO of Salamander Hotels and Resorts, and the first African-American woman to attain a net worth of at least $1 billion. She also is the first African-American woman to be an owner or partner in three professional sports franchises: the Washington Capitals, the Washington Wizards and the Washington Mystics. The six recipients will be inducted into the Order of Lincoln on May 18, 2019, at a gala at the new University of Illinois Springfield Student Union. Over the past 55 years, 348 Illinois citizens have been recognized with the award.